The Dream and Its Amplification unveils the language of the psyche that speaks to us in our dreams. You can now watch a 16 min video of The Dream and its Amplification on YouTube. 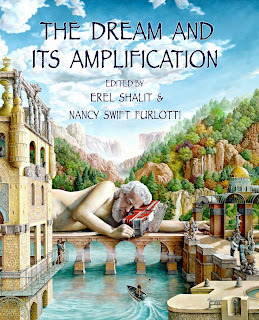 "The Dreams and Its Amplification is a wonderful book for anyone interested in their inner life, their dream life and how the unconscious gives us a map to our lives. 14 different authors, all Jungians, give us a peek into the everyday workings of an analytic practice and dream amplification. Each voice is unique, no two analyst work in exactly the same way, but a common thread runs through the chapters. They all tell us that dreams are important, we need to pay attention, we need to honor this gift from our psyches. If we pay attention and honor our dreams we will be rewarded with a deeper and more meaningful understanding of who we really are beyond our egos. This book is for both professionals in the field of psychology and the general public. It is accessible, moving and informative. We are given new ways to think about our dreams. If you wake up and ask yourself, "What the heck was that dream about?" this is a book for you. If you have wondered what goes on in those 50 minutes behind closed doors, this a book for you. If you have a curious mind and an open heart, this is a book for you."